New Delhi: While the nation is struggling with vector borne diseases like chikungunya and Dengue, the requirement of the healthcare staff has painstakingly gone high. In order to tackle with the shortage of healthcare staff, the union health minister JP Nadda said that the Government is acting to overcome the problem of Shortage of doctors. 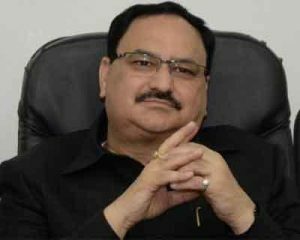 The central government is tackling the shortage of doctors by increasing the capacity for training undergraduates and postgraduates in medical colleges, Health Minister J.P. Nadda said. “India faces a crippling shortage of doctors. The government is tackling this by rapidly increasing the capacity for training undergraduates and postgraduates in existing medical colleges, and also by establishing new medical colleges,” Nadda said while addressing the centenary convocation of Lady Hardinge Medical College here. “Medical education forms the apex of the healthcare pyramid. It is the quality of graduating doctors and specialists that will determine the quality of healthcare services in the country for generations to come. Ensuring the highest standards of medical education is a top priority for this government,” the Health Minister said. Revamping , complete medical education is long overdue , especially post graduate courses.